The FBI and Chicago PD are investigating have new leads. Chicago police said an envelope with white powder and a threatening letter with magazine cut outs pasted on paper was received at Cinespace Studios, where “Empire” is filmed, on Jan. 22. HAZMAT responded, but the white substance turned out to be aspirin. Police have released photos of two individuals wanted for questioning. Video of Smollett walking into a hotel after the attack with a noose around his neck, along with the noose and his sweater have also been acquired to help try to identify more clues to find the attackers. Smollett said he was on the phone with his manager when the attack happened. A witness, who requested anonymity, described a “creepy” white man outside the building with a clothesline hanging from his pants, staring at another man near another entrance about 300 hundred feet away. She told TMZ, “He looked out of place.” He had scruff on his face, wearing a blue winter beanie, a blue zip-up sweatshirt with a hood and blue jeans that were too short. He had “thick, grey hunting socks” with camel-colored dress shoes. She talked to detectives when she found out there was an attack. “Empire” star, Jussie Smollett, was brutally attacked and hospitalized early Tuesday morning. Chicago police are investigating the attack as a hate crime. According to the police report, Smollett had just returned from New York and went to a local Subway in Chicago at around 2 a.m.
After the verbal assault, Smollett recalls bleach being poured on him and they began to beat him. Smollett fiercely fought back against his attackers and ended up with a fractured rib. The duo fled the scene. He transported himself to Northwestern Hospital in Chicago where he was treated and released. A Chicago Police spokesperson said that the attackers’ genders are unknown, and that their faces and hands had been covered, according to The Daily Beast. Smollett plays a gay character on the hit series, but he is also openly gay in real life. Last week, it was discovered and reported that he had received hate mail on the set of “Empire,” which is filmed in Chicago. 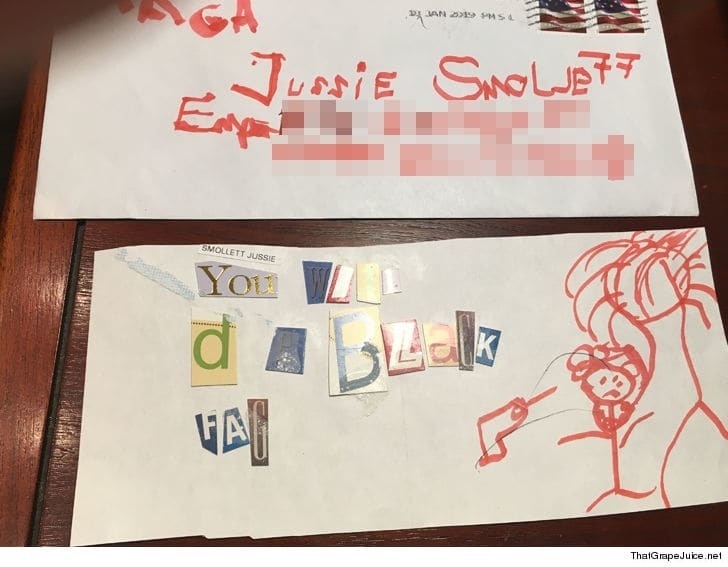 There may be a link between Tuesday morning’s attack and a threatening letter, which was sent to Smollett on the set of the show. Those details have yet to be confirmed.